Whether you want to make a living from music or play for fun, this is the essential guide to the New Zealand music industry. I'm With The Band explains everything you need to know from recording demos to signing contracts, from hiring a manager to protecting your music. Key figur... read full description below. Whether you want to make a living from music or play for fun, this is the essential guide to the New Zealand music industry. I'm With The Band explains everything you need to know from recording demos to signing contracts, from hiring a manager to protecting your music. Key figures in the New Zealand industry - names like Neil Finn - share their inside knowledge and experiences to help everyone from the hobby band to the performer on the brink of discovery. 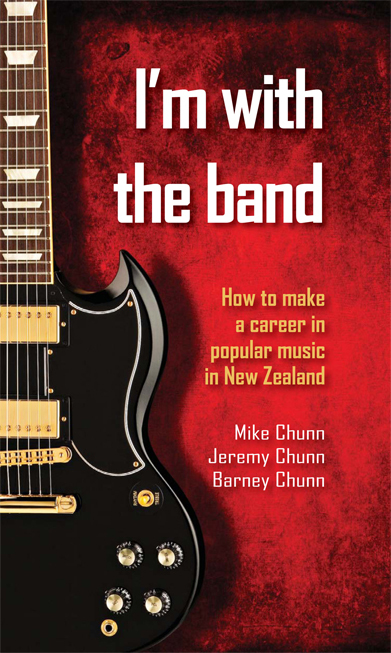 The talented Chunn family, led by Split Enz founding member Mike, combines to provide this unique insight into what it takes to forge a career in popular music. The Chunn family are New Zealand music royalty - Mike is a founding member of Split Enz and Citizen Band, and has managed Sony Music Publishing, Mushroom Records and APRA and established the music charity Play It Strange. 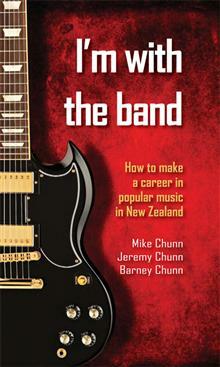 Jeremy Chunn has played in bands in New Zealand, Australia and Europe. A journalist, he has written about music for Rolling Stone and other magazines. Barney Chunn writes about music and performs original music with his band, The Tricks.